Social media is also a battleground for candidates. 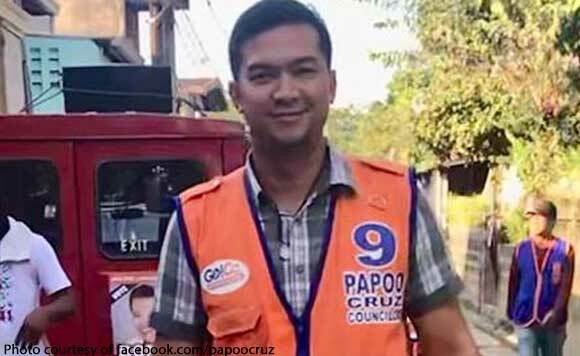 And Taytay Councilor Papoo Cruz has taken to Facebook to respond to complaints from Taytay Mayor Joric Gacula and Councilor Pia Cabral about his stickers being plastered on Gacula’s posters. In his post, Cruz shared screenshots of Gacula and Cabral’s posts and said the stickers they showed plastered on the posters had run out as early as last year. Cruz also said it was not his style to put his stickers on other candidates’ campaign materials. He also addressed whoever posted his stickers and said such actions would not help either of the parties. Will his Facebook appeal put a stop to the activity? We shall see! “In response to Councilor Pia Cabral and Mayor Joric Gacula’s posts: last year pa po ubos ang ganyang sticker ko. Hindi ko po style ang ganyan. Kung sino man po gumawa nito whether our supporter or the other team’s supporter, wala po itong naitutulong sa kampanya ng parehong partido. God bless po!,” Cruz posted.